Our Natural Skin Care Products are: safe, effective, doctor-selected and organic. 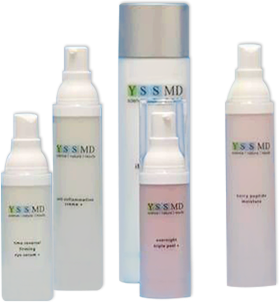 Why should I use YSSMD products? The products that you can buy over-the-counter often contain preservatives such as paraben that are currently illegal in Europe. These products also don’t contain enough active ingredients to do anything more than moisturize your skin. If you want to see a difference with topical products you should purchase natural skin care products from a medical doctor with skincare expertise. 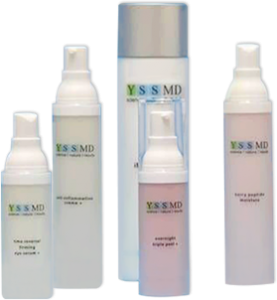 Dr. Anne Rowland features her organic, doctor-directed skin line YSSMD. These paraben free products provide the most advanced ingredients for anti-aging, rosacea, acne and sensitive skin. And you won’t have to feel guilty about pampering yourself, all proceeds from YSSMD are directed to a non-profit foundation – Lets Face It Together – to help others in the community who are uninsured or underinsured and need medical and/or surgical care. Lets Face It Together strives to bridge the inequity within our community, by putting the care back into healthcare starting from the neck up. 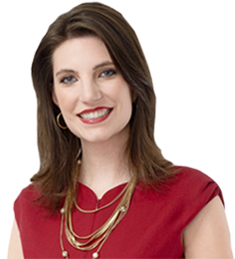 These products can be exclusively purchased at Dr. Rowland’s offices (825 Ridge Lake Blvd, Memphis, TN and 1458 West Poplar Ave, Collierville, TN). Anti-Inflammation Cleanser – This calming cleanser is formulated for highly sensitive or irritated skin, including rosacea. It is pH balanced and free of parabens, fragrance and color. Illuminated Cleanser – This light cleanser rinses away daily residue, makeup and oil. Contains 15% glycolic acid to gently exfoliate surface skin cells, helping keep pores clear and revealing a softer, smoother and healthier-looking complexion. Lavender Lemongrass Toner – A pure, alcohol-free aromatherapeutic toner that restores pH and lightly hydrates, leaving skin smooth and supple. B5 Serum – Sooth dryness instantly with this gel-serum boosted with multiple sources of Vitamin B. Non-greasy, this antioxidant serum give the skin a velvety smooth texture and youthful appearance. C35 Serum – Bright and renew with the this antioxidant serum offering a synergistic blend of five proven natural source skin brighteners and powerful age-reversing Swiss Apple Stem Cells. Designed to diminish dark spots and discoloration. Overnight Triple Peel – Brighten and balance dull skin, minimize imperfections and discolorations with adding radiance to the skin. A natural alternative to harsh retinol, this exfoliates the skin while calming any irritation with three organic ingredients. Active Day Creme + SPF 30 – Finally an oil-free moisturizer with SPF 30 that is water resistant, non-comedogenic, free of parabens and silicones, and perfect for every skin type. Anti-Inflammation Creme – This creme is ideal for those with sensitive skin or after chemical peels, laser or surgery to speed recovery as it calms inflamed skin while locking in moisture. Berry Peptide Moisturizer – A rich moisturizer that delivers nutrients and antioxidants to encourage healthy vibrant skin. Contains pure oils and Vitamin C to combat dry, devitalized skin. Time-Reversal Creme – This rich creme promotes firmer and more toned skin, diminishes the appearance of fine lines, wrinkles, brown spot,and other skin irregularities. Time-Reversal Firming Neck and Decollete Creme – Consistent use of this creamy moisturizer will promote firm, toned skin of the neck and decollete- areas that are so often neglected. DMAE and alpha lipoic acid are combined with Vitamin C and glycolic acid to reveal a hydrated, more resilient complexion. Triple Pumpkin + Ferula Mask – This deliciously scented exfoliant dramatically improves clarity and texture of all skin types. It diminishes the clarity and texture of all skin types. It diminishes the appearance of fine lines by exfoliated and hydrating the skin leaving it silky, smooth and radiant. Anti-Inflammation Mask – This ultra-soothing oil-free gel mask is a must for those with sensitive blotchy skin, rosacea-prone skin, or any complexion that reddens or irritates easily. Also a wonderful treatment product post-laser, chemical peel or microdermabrasion. Time-Reversal Eye Treatment – Essential and powerful therapy for the delicate eye area. The appearance of puffiness, fine lines, and dark circles will diminish with continued use as it protects against the visible signs of aging. Illuminating Eye Creme – This intensive eye treatment addresses the special needs of the eye are that is prone to visible signs of again including fine lines, wrinkles, dark circles, moisture loss, free radical damage, and collagen-breakdown. Anti-Inflammation Eye Serum – Upon application this serum with help counteract the appearance of redness, sensitivity and visible signs of skin irritation. Combines the soothing effects of pure aloe vera gel, arnica and mushroom extract with the profound calming properties of of boswellia serrata, which inhibits the enzyme that leads to inflammation. This gentle treatment can be used to calm chronically sensitive, rosacea and acne prone skin and to soothe skin after laser, chemical peels, waxing, or tweezing.